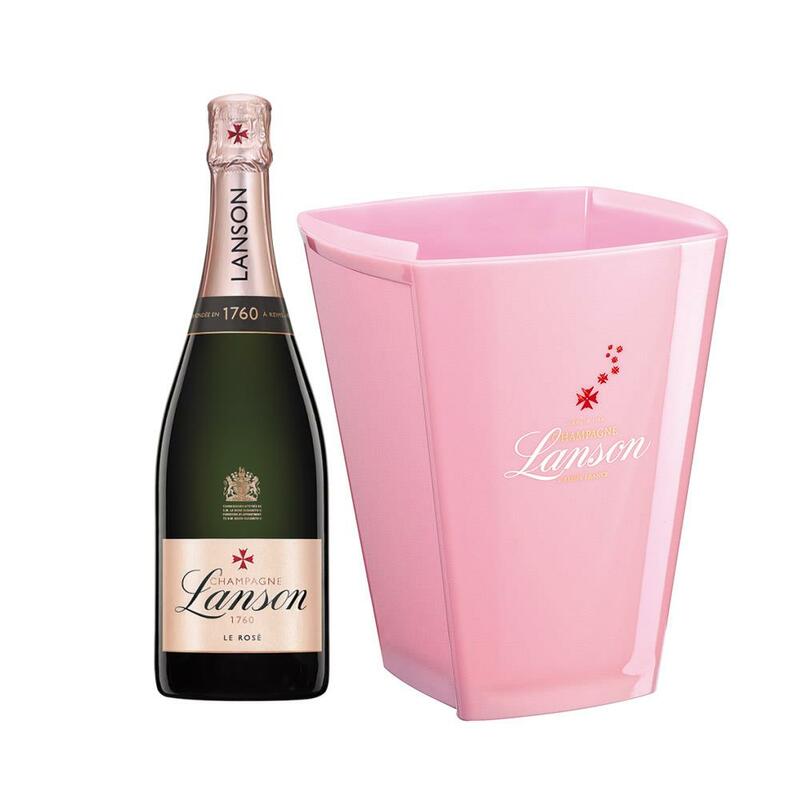 Buy this set and get a full bottle of Lanson Rose 75cl packed together with this lovely Lanson branded Ice Bucket. Lanson Rose - Send a single bottle of Lanson Rose, NV, Champagne (75cl) Presented in a stylish Blue Gift Box with matching Gift Card for your personal message - Beautiful pure colour - fresh and delicious with aromas of roses and fruit. This product is hand packed onsite by Gifts International, and is not affiliated with any other brand. Gifts International is responsible for this product combination/set.